Minorca is a unique island, a singular combination of a rich natural environment and the elements that give it life (weather, sun, salt, fields and north wind, among others). They are the source of perfect maturation, which give Mahon-Minorca cheeses a characteristic flavor. Generation after generation, we select and mature our cheeses following exactly the same techniques, processes and spaces that were used over a 100 years ago. Today, the infinite aroma of our Cellar is the indelible essence of our history. 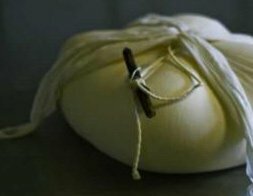 Our Master in Cheese Ripening, Bosco Triay Barber, remembers today when he was a child and all of his family would often go to spend the day with the Quintana family at their lloc. Both families shared a very strong friendship. Bosco remembers those wonderful days as a perfect combination of fun, surprise, good food and the discovery of a passion that has not stopped growing; the making of the perfect artisanal Cheese and the ability as a cheese ripener to find that special “bouquet” that makes every one of his cheeses unique. This family friendship grew stronger as time passed and set the path of a great commitment for the Triay Barber family (in cheese-related matters). 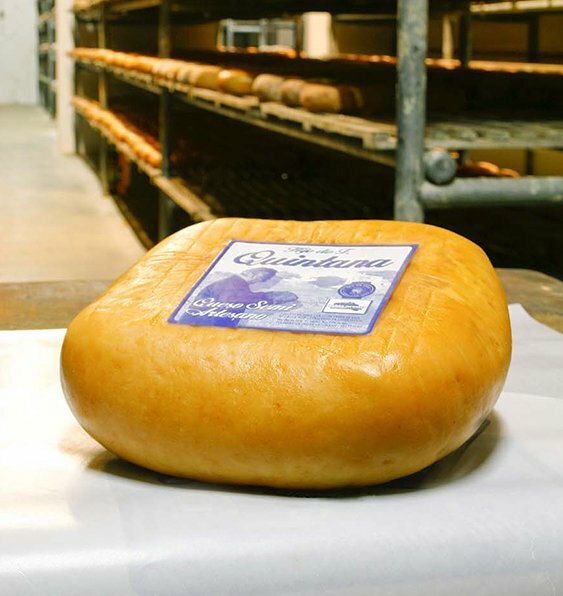 The two families would become brothers, sons and “grandchildren” of Quintana Cheese. 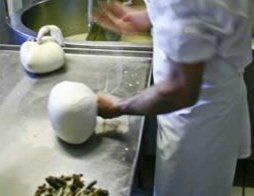 To continue preparing the best artisanal cheese from Minorca; something very personal that has touched over 8 generations. 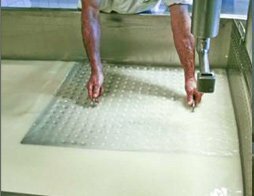 During the 1940s, the Florit Camps family from Alaior (Minorca) undertook the initiative of maturing cheese, together with the marketing of other basic needs of the time. 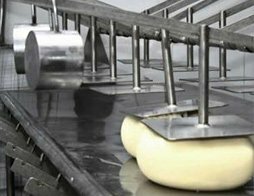 In the 1960s, and after the incorporation of D. Antonio Quintana Florit, son of D. Francisco Quintana, as a company partner, the production and marketing of new products increased, with cheese ripening still being the main activity. At the end of 2002, by agreement among the company members, since there was no family continuity, the business was transfered to the Triay Barber family, who by dedication had been already preparing and maturing artisanal cheese for several generations. 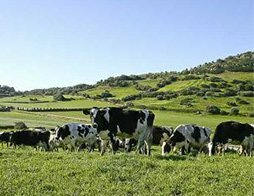 From the Fall to the Spring, Minorca Island is a natural meadow of pastures that serve as food for an important livestock herd. Geoclimatic factors are the ones mainly responsible for the flavor of Mahon-Minorca Cheese. 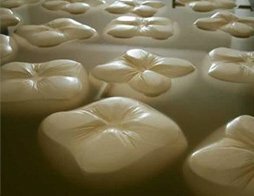 The curd is packaged in a cotton canvas called “fogasser”, holding it by its four vertices. The cheese is placed on a table and the lquid is removed from it to start putting the dough together, manually, by shaping it and binding it with a piece of thread called “lligam”. The piece is then placed in a press, where it remains for about eight hours. 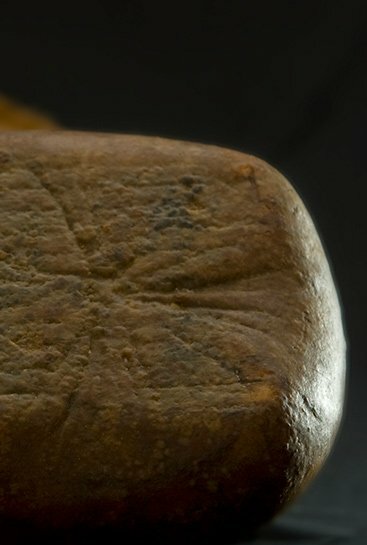 When the cheese is removed from the canvas, a drawing known as ‘mamella’ is relief engraved on the upper surface of the cheese as a result of the canvas folding and thread tying. Then it is soaked in brine, water and salt solution for approximately twelve hours. 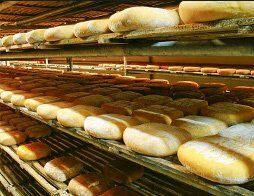 At the end of the production process, the cheese is transfered to our premises where it is aired for three weeks, turning it every two days. The sensitivity and wisdom of our Master Cheese Ripening help to find the perfect bouquet in each of our Cheeses. J.Bosco Triay Barber has a Master Craftsman in Cheese Letter and a Master Craftsman in Cheese ripening, No. 874 at the Register of Master Craftsmen. “The cheese ripening has been an authentic splash of intensity. It has an indescribable bouquet”.